The Exigo Standing Leg Curl is a strength training machine and part of our selectorized Lower Body range that is used to isolate and strengthen the hamstrings. 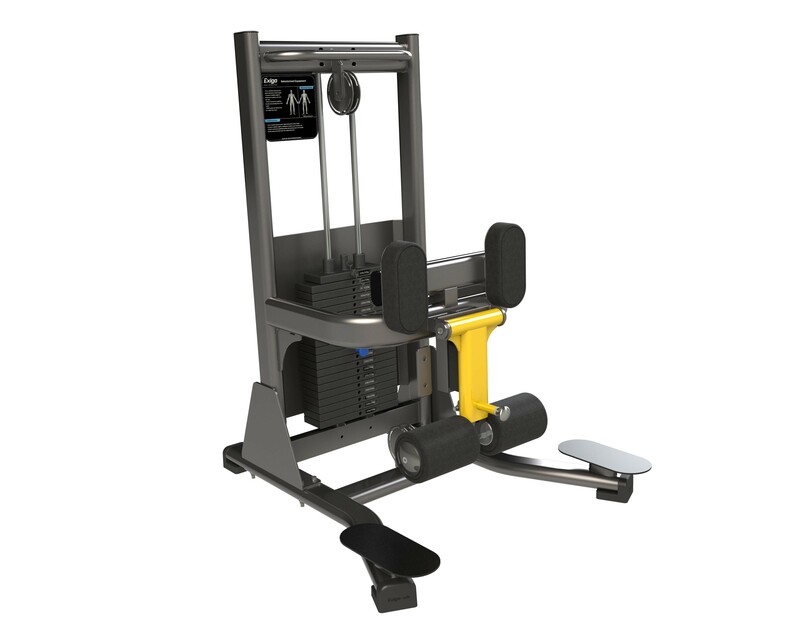 Unlike the Exigo Leg Curl, this machine allows you to train each leg alternatively for balanced results. The Exigo Standing Leg Curl is ergonomically designed to give users the best possible workout. Its raised footplates provide users with ample clearance throughout exercise. It also features an adjustable roller pad to accommodate various user profiles, along with a grip bar for increased stability. Designed and manufactured in our UK factory, this piece of gym equipment not only looks the part, but is built to withstand the conditions of a busy commercial gym environment. This machine boasts a high quality finish, possesses durable upholstery and a robust frame. It is engineered using optimal components and is a pleasure to use due to its smooth movement. Whether you’re a complete beginner or experienced athlete, this machine will certainly help you to achieve superior results. Perfect for any gym, home gym or training facility. Here at Exigo-UK we pride ourselves on being able to offer a comprehensive variety of customisation options. Choose from one of our standard primary or secondary colours, or get the exact match you require, from the many other colour options available on request. Our secondary colours offer a textured finish, which we recommend for increased grip on bars and grip points. We offer a choice of 12 standard upholstery colours, with the option of custom upholstery branding protection wraps. Other non-standard colours are available on request. All of our equipment is designed & manufactured in our UK factory, giving us complete control over our products. This allows us to engineer custom frame sizes and other requirements to fit your individual needs. Our team of expert in-house designers can produce a full 2D/3D concept gym design to bring all your ideas to life and help you to realise the full potential of your facility. • Built to withstand the conditions of a busy commercial gym environment.